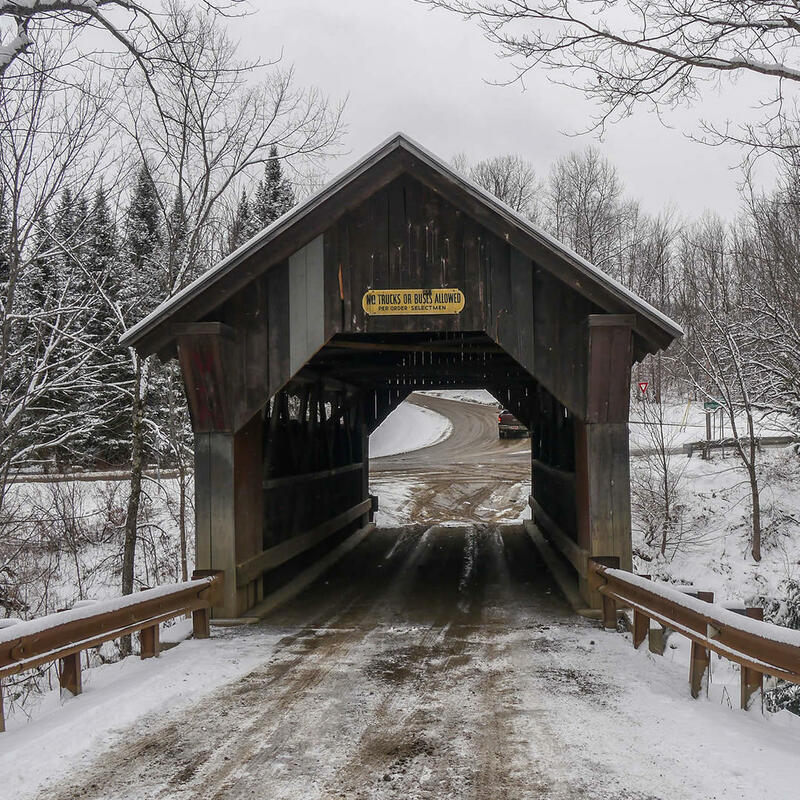 The real name of this truss bridge is called Gold Brook Covered Bridge but it gets its interesting nickname from young woman who supposedly haunts it. One legend says that Emily was jilted by her fiancé and hung herself from the railing. Emily is not merely sad but violently angry. Stories have sprung up about her malevolent spirit gouging the sides of vehicles and raking her nails across the backs of hapless victims. Ironically, the rumors of haunting were instigated by a high school girl's Ouija board game.